You can enjoy the beauty of spring right inside your home with this Pansy Prince Spring MatMates Floor Mat. Made to be utilized indoors and outdoors you can greet your guests in the finest fashion and display this mat at your front door, in the kitchen, in the bathroom and many other places. Pair your mat with our indoor tray or our outdoor tray. The bright and vivid colors will stand out in any environment. Durable enough to endure almost all-weather conditions. This Pansy Prince doormat is 18" x 30" when used as a stand-alone mat. 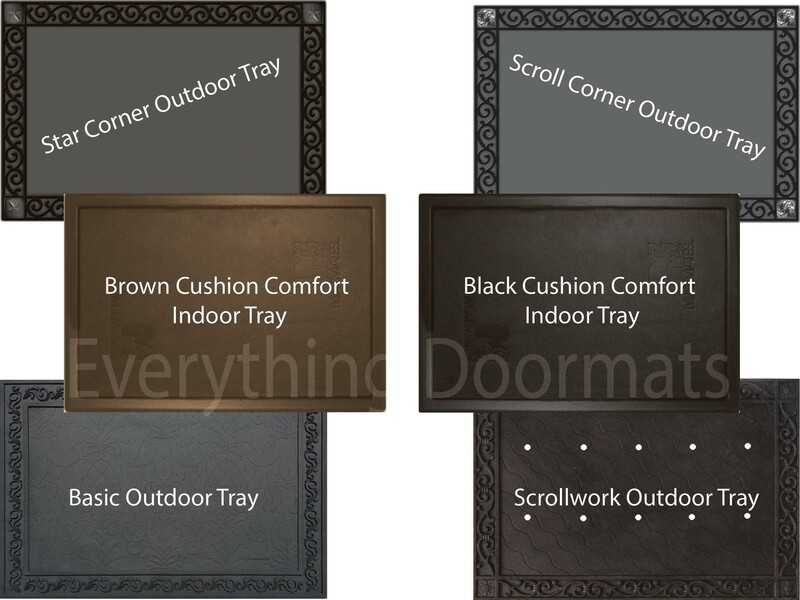 Note: The Spring Floor Mat is pictured in our Scroll Corner Outdoor Tray. The outdoor trays and cushion comfort trays are sold separately.